Get Instant TExES Access Right Now! You may have found many TExES practice tests and study guides a rip-off and waste of time. Doesn’t it get under your skin big corporate publishers make a fortune on their TExES study guide that doesn’t cover the real test? …or have a TExES practice test that’s “oh so easy” compared to the actual exam? A disturbing fact is over 3,471 Texas Examinations of Educator Standards (TExES) test takers have their teaching careers ‘on-hold’ because they can’t pass. You must be aware of TExES study mistakes (you don’t know you’re making) before you risk failure. Starting salaries for licensed Texas teachers are approximately $37,857.00. So failing and delaying your career is extremely expensive. There I was in the TExES exam center. I glared at my exam in ‘pure’ horror. The look on my face was like a deer staring into the headlights of an oncoming car. You see, this failure delayed my Texas teacher certification. It resulted in ‘missing the short cut-off window’ of teacher hiring for the next school year. – I lost $37,000.00 in teacher income. You can imagine, after going through the TExES ‘meat grinder’ my confidence was shredded. It felt hopeless to start test prep over again from scratch. My personal story (below) reveals how to pass-the-TExES quicker and easier than you thought possible…and start helping kids who need you. You must read each line. If you skim, scan or skip around, you’ll miss the one TExES test practice secret that can save you from being axed from this profession you love. 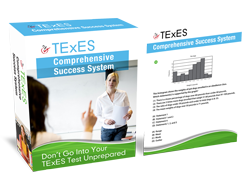 Can You Recognize The Early Warning Signs Of TExES Practice Test Failure? Fact: A spine-chilling reality is that TExES practice tests from popular, widely-used study guides (i.e. from Amazon.com, Barnes and Noble) do NOT match the real exam questions. Most TExES practice exam questions are ‘over-simplistic.’ They’re deceivingly ‘too easy’ compared to the actual test. The TExES practice test questions are not worded, formatted or structured like real exam questions you’ll face. Obviously, misleading TExES practice questions and a ‘false sense of confidence’ leads you to devastating results on exam day. Will Answering Real TExES Test Questions Make You Tongue-Tied? Did you know big name publishers who sell TExES study guides (on Amazon and Barnes and Noble) are written by corporate writers who never took your test? …Not even a course in the specialized subject area of your teaching exam! That’s NOT by licensed Texas teachers who passed. Do You Make These Deadly, ‘Do-It-Yourself’ TExES Study Guide Mistakes? Are you losing your short TExES prep time trying to memorize painfully dry, 300-600 page test preparation books? You know, it’s impossible to swallow these massive textbook-like TExES exam study guides (packed with filler, phony material) in the limited time you have. Most TExES study guides are a ‘brain dump’ of generic, cookie-cutter academic info…. Are Your TExES Study Guides Really Up-To-Date? 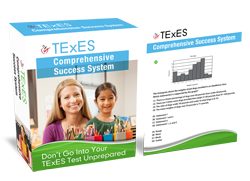 Did you know the TExES test is constantly changing? 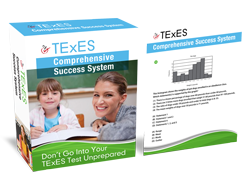 Unfortunately, most TExES practice tests and books on the market are 1-3 years out-of-date. You see, it costs the TExES study guide publisher a lot less money if ‘unqualified’ authors and little time is used in the original creation of your book. …They just don’t specialize in your TExES test. TExES Prep Classes Are Good, Right? 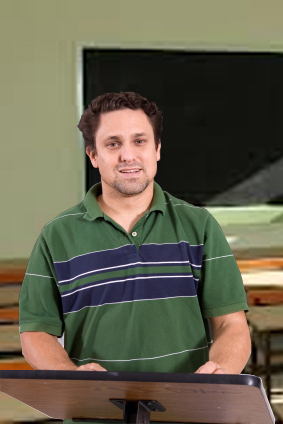 99% of TExES test prep courses consist of a presenter reading PowerPoint slides aloud to you. You can AVOID all the TExES study and test taking mistakes I made…Your story can be different. You see, since 2001 we’ve helped over 11,367 TExES test takers pass and advance their teaching career. …Lucky for you, this identical core of TExES questions and exam content will repeat on your testing date too! You can imagine, after working one-on-one with over 11,367 Texas teacher certification candidates it doesn’t take rocket science to document what test content and TExES practice test questions yield a passing score. 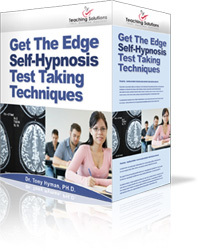 You’d be shocked at how ‘brain dead’ simple TExES exam success can be. Anyone can follow this step-by-step blueprint to achieve a passing score. …I know it’ll help you pass-the-TExES and get your Texas teacher certification faster and easier than you thought possible. Why Texas Teachers To Help You Pass? You see, like forensic detectives, we constantly research and track regular changes to the TExES exam each week. 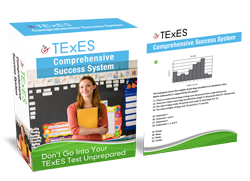 The TExES Comprehensive Success System study guide, ‘Exam-Like Practice Tests’ and Test Coaching help reflects up-to-the-minute changes and is 100% accurate. Licensed teachers who helped thousands of TExES test takers pass are most qualified to help you succeed. Sick of TExES study guides that don’t cover the REAL exam? -This TExES study guide EXACTLY matches (subsection by subsection) the measured competencies required by the official website/official developer. 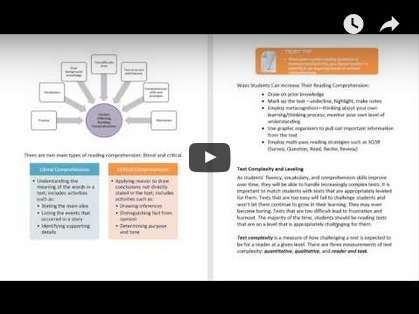 Warning: Most popular, widely-used TExES books actually hurt your test score…They provide the WRONG content and lead you in the wrong direction! 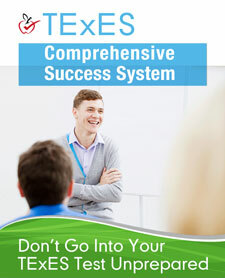 Your TExES ‘Comprehensive Success System’ slices-out bogus info, filler pages and fluff you won’t see on the exam. 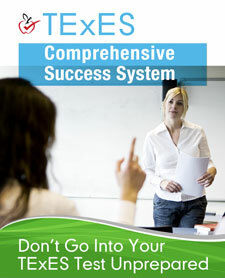 Watch-out: Many popular, ‘over-sized’ 300-600 page TExES study guides ‘block you’ from success. -With those huge books, there’s no way to sort-out the REAL TExES exam content from the hundreds of pages of filler, phony material. …NOT lose critical test prep time struggling with thick TExES books. …The next best thing to seeing your actual TExES questions before walking into the testing center. All TExES practice exams are legally and ethically created by highly experienced Texas teachers from ‘real life’ case studies, raw test content and experience helping over 11,367 clients pass. -You see, hands-on, “ACTIVE learning” with TExES practice questions force you to learn the exam content exponentially faster (than regular TExES book reading). You see, even if your real TExES test questions are angled a different way, you’ll still stab though the questions like a ‘hot knife through butter.’ – And pass-the-TExES! Our TExES Test Coaching service gives you one-on-one access to our team of 17 licensed teachers who have been in your shoes. All the live, one-on-one ‘human-help’ you need that a TExES study guide or prep class can’t give you. UNLIMITED amount of TExES practice help until you get a passing score…No expensive per hour tutoring or consulting fees! Invest the short-time before your upcoming exam date focused on REAL TExES exam content – NOT guessing what your test ‘might’ cover and risking your teaching career. Feel you only need a book to pass-the-TExES? 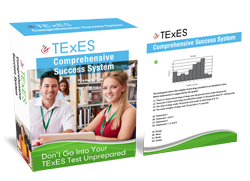 This TExES ‘success tool’ has a PROVEN 3rd party documented pass rate of over 87.3%…That’s 21% higher than popular career-killing TExES study guides and practice exams. Does TExES test anxiety put ‘your calling’ as a teacher at risk? Always been a bad test taker? 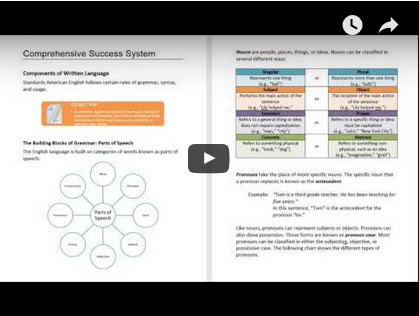 If so, this tool gives you ‘real-life’ TExES exam practice and ‘rock solid’ test taking skills you need to eliminate this obstacle to your personal success. Don’t have a lot of money to invest in yourself to pass-the-TExES and improve your life? 100% up-to-date TExES practice test and study guide! 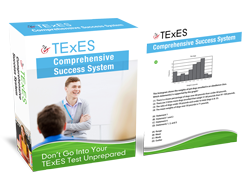 -Yes, this is ONLY TExES practice exam and preparation materials 100% UPDATED each month to match the NEWEST version of your exam. -Many TExES book authors are an anonymous team of ghost writers (who never even took a class in your field nor coursework related to this exam)! 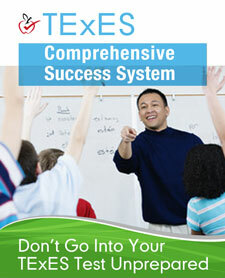 We’re former TExES test takers, current teachers and helped over 11,367 previous clients get a passing score. 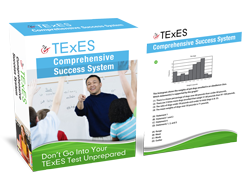 All TExES practice exam questions and study guides are written by Mark Dahlson and team of 14 licensed teachers with over 3 years of TExES experience. NOT another ‘bookstore-like’ TExES study guide by a large publisher who doesn’t care about the accuracy of the materials or whether you pass. We have been in business since 2001 (over 15 years), helping test takers get their Texas teacher certification. 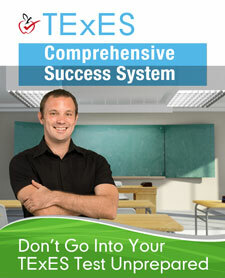 -INSTANTLY access your TExES Comprehensive Success System online upon submitting your order. -You pass-your-TExES exam in ONLY 7 days or your no hassle, no quibble, no questions asked, instant 100% money back guarantee! Controversial tips that show you how to rip through your TExES exam like a test taking green beret. – Use this as an insurance policy if everything goes wrong on your exam date. 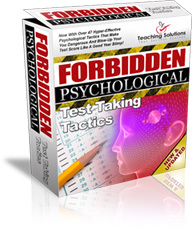 An EXTREME TExES test prep and test taking make-over for your instant turn-around. Cut your TExES study time by at least 17% with a ‘quick’ and dirty’ preparation strategy. Get private ‘how to get hired’ tips confessed by 7 school district administrators who hire new and experienced teachers. Yes, through a special contract I’m also giving you my competitor’s TExES practice tests and study guide. But, I’m not allowed to say which competitor friend. You’ll have to see for yourself when you get it now. Can You Afford The Price Of NOT Passing Your TExES? You already invested thousands of dollars in tuition (or student loans you must start paying back). You spent the best years of your life in school to get your Texas teacher certification. However, if you go cheap on TExES study guides, practice tests and fail, you could lose over $37,000 per year in first year teaching salary plus benefits. -You’ll never get that lost income back. Trying To Get A $40,000.00 Per Year Teaching Career With A Flimsy $21 TExES Study Guide? Your investment breaks down to only $1.90 per day to pass-the-TExES exam and launch your teaching career…. If you’re not satisfied for any reason after you sign-up, see the TExES practice tests, study guide and sample the test coaching service. You see, the ONLY way you’ll pay is if you pass the TExES exam…I think you’ll agree that’s a small price to pay to advance your teaching career and enjoy the ‘good life’ you worked so hard to achieve. The bad news is: I don’t have TExES test coaches on standby whenever you’re ready to go for it. If you think you may need this ‘hold-your-place.’ Don’t get locked-out later when biting, itching help questions pop-up, you realize you’re not prepared…and out of time. 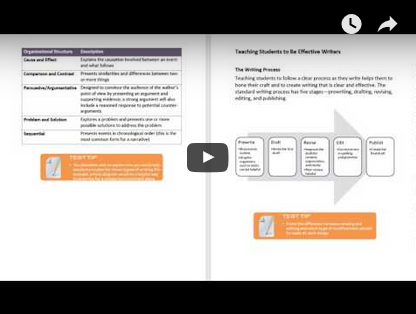 Grab this before other teacher certification candidates steal it from you. 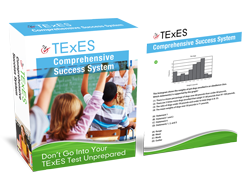 Even if you don’t have time your TExES Comprehensive Success System absolutely guarantees you pass in the shortest period of time possible. How Fast Can You Get Your Hands On This And Pass-The-TExES? That’s immediate, online delivery of your TExES study guide, practice test, FREE bonuses and ‘live access’ to all Test Coaches, Tutors and Mentor help. You do NOT lose 1-2 weeks of your critical TExES study time waiting for something to come in the mail. NOTE: Beware of TExES test prep companies that warehouse and sell paper books. By the time you order, it’ll be months out of date! It’s that quick, simple, 100% up-to-date, SAVES you money and cranks-up your score to pass-the-TExES! P.S. You face serious threats you may not have been aware of. If you miss-out on these ‘razor sharp’ TExES practice tests and study guide tool, you could find yourself months from now in a very bleak and demoralizing situation. – Still ‘scratching your head’ and not any closer to a passing score. Avert weeks/months of wasted time in crunch, clang TExES study mistakes that to lead to failure (before time runs-out). P.P.P.S. Remember. You’re Totally Satisfied And Pass The TExES In ONLY 7 Days Or Your No Questions Asked, 100% Money Back. Because I guarantee you a passing score and blazing fast advancement in Texas teacher certification, I need you to start immediately. Therefore, the FREE TExES test coaching help, tutoring and mentoring offer and 7 FREE bonus gifts are ONLY available if you TAKE ACTION right now. Stir-clear of the common trap trying to save a few dollars on TExES practice tests and study guides then lose thousands of dollars in income. Waiting until the “right time” to get TExES practice tests, study guides and then try to make up for lost time later is a proven recipe for test failure. Surfing more TExES websites, ‘tire kicking’ more test prep programs and dreaming about it never helped anyone pass this exam and get their Texas teacher certification. Your rapidly approaching test day will sneak-up and ‘steal your dreams’ if you continue to procrastinate, “think about it,” are overconfident and use inferior TExES practice exams and books. 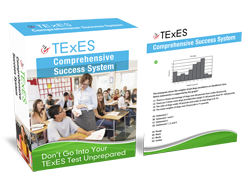 Click on the TExES practice tests, study guide and Test Coaching package right now. Register right now! 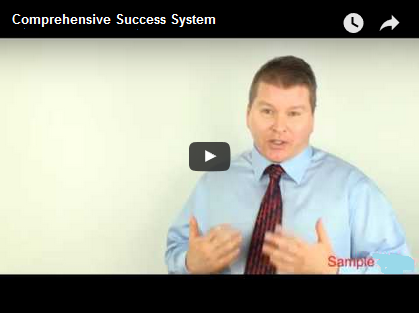 FREE Gift – 7 Days of TExES Coach help included if you act right now!